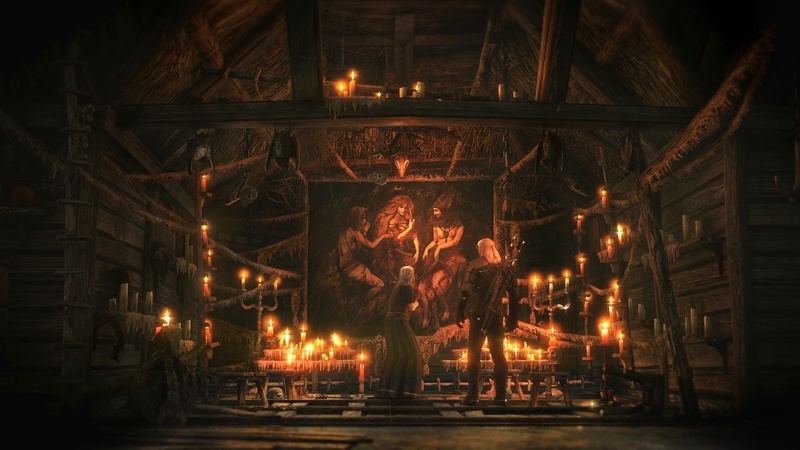 CD Projekt RED released a new trailer for The Witcher 3 highlighting a quest from the open-world RPG. The trailer also confirms that Geralt is still a bit of a prick. 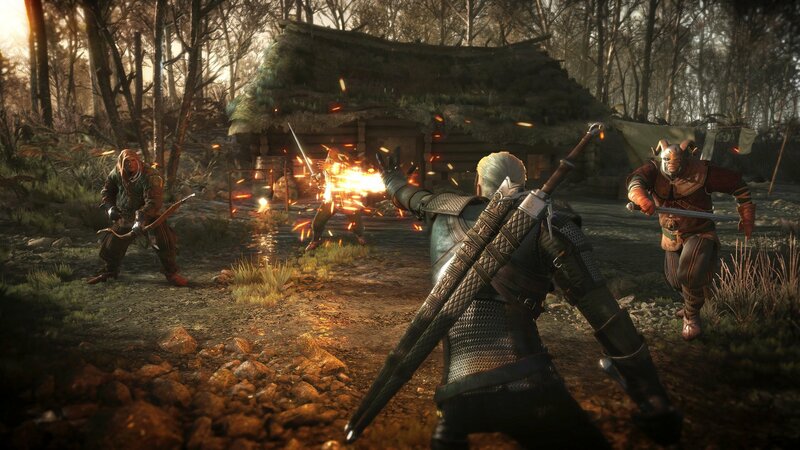 "Your village is a real pearl of the swamps," Geralt tells a man whose hometown has been decimated by some mysterious evil. Way to take that downtrodden villager down a peg, Geralt! He adds (more or less): "Check out my sweet dagger. It shows I'm really important." So the villager tells him his problem. The townsfolk are sleepwalking into the woods, never to return. Their only hope is an anti-social, freakishly pale monster-hunter addicted to getting strange. "You're in luck!" Geralt replies (more or less). He then heads off into the woods to find this evil. Along the way, he dices up a bunch of werewolves and trolls. All in a day's work. The player seems to be following an arrow on his minimap to get to the quest location. This is handy because it's not like there's a set path for players to follow. They're free to run in any direction they want, killing or chatting or sleeping with anything they find along the way. 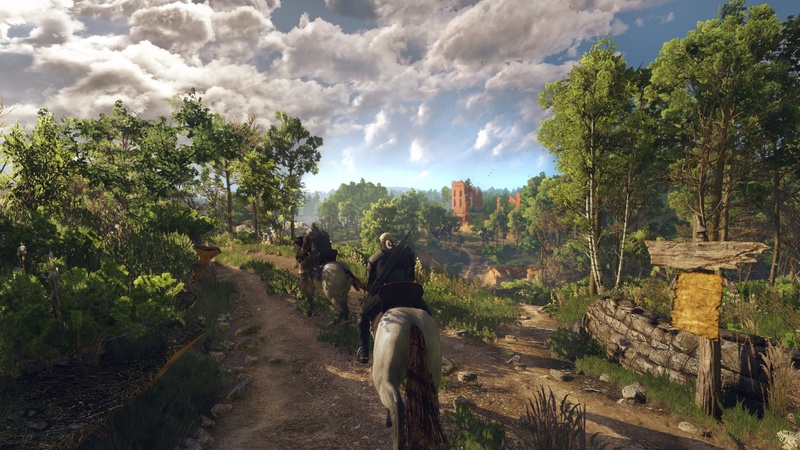 CD Projekt has said that the game world is so massive that players can spend 100 hours completing all of its quests. Geralt is eventually greeted by a disembodied female voice with some apparent connection to the disappearing villagers. She tells him to turn back because she apparently hasn't played the first two games. 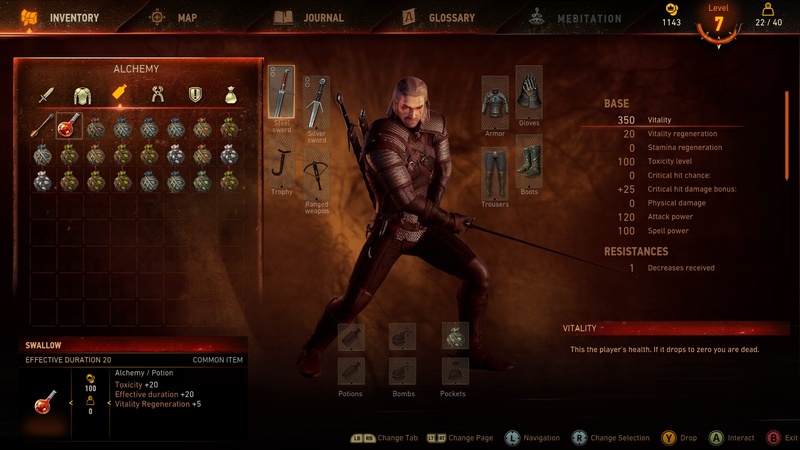 Geralt doesn't run away from anything female, corporeal or not. The trailer ends before Geralt can confront this mystery lady, though. 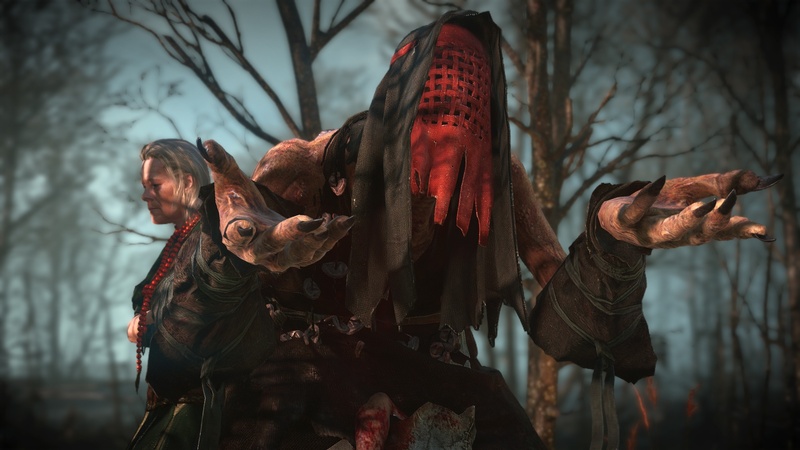 Witcher 3 is in development for PS4, Xbox One and PC. CD Projekt RED plans to release the game on all three platforms on February 24th. CD Projekt RED sent out a handful of screenshots this morning as well. I'm not sure if they have anything to do with the quest featured in the trailer but they're still gorgeous so you should gaze at them longingly.